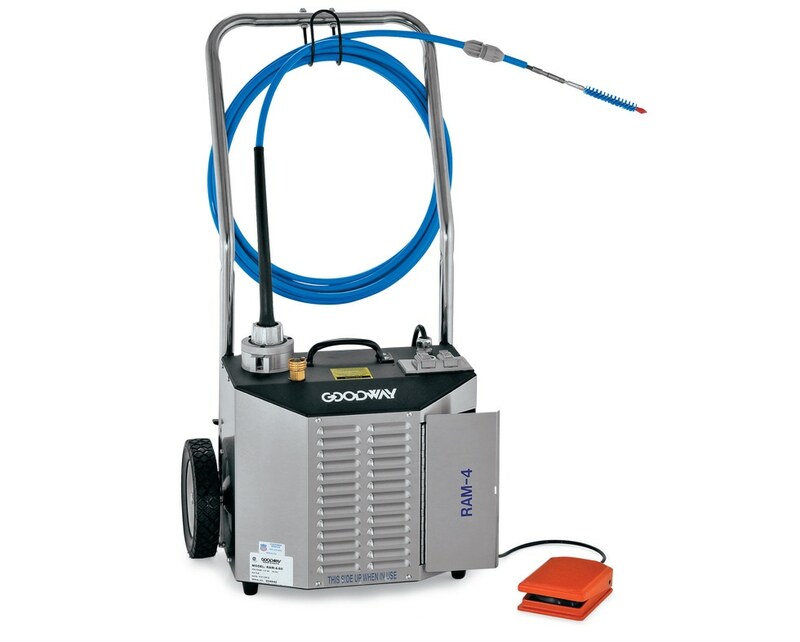 Goodway Technologies pioneered the rotary tube cleaner, and the RAM-4 Tube Cleaner is the fourth generation of that design. 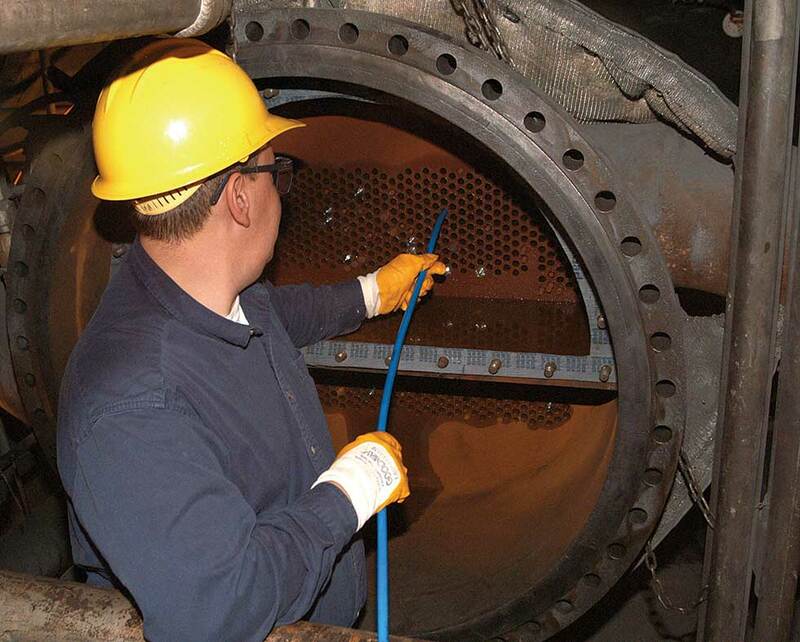 This machine makes tough chiller tube cleaning and heat exchanger tube cleaning a simple, one-person operation. It is ideal for cleaning tubes/pipes 1/4"-1" (6.4-25.4mm) I.D. in chillers, condensers, evaporators, absorption machines and heat exchangers. The RAM-4 uses a cleaning tool mounted to the tip of a flexible shaft. It feeds water through the casing to the cleaning tool, flushing out deposits as they are loosened. The flexible shaft snakes through each tube, unaffected by any bends caused by sagging. All brushes and tools are designed not to cut into the tube wall or get stuck in the tube. 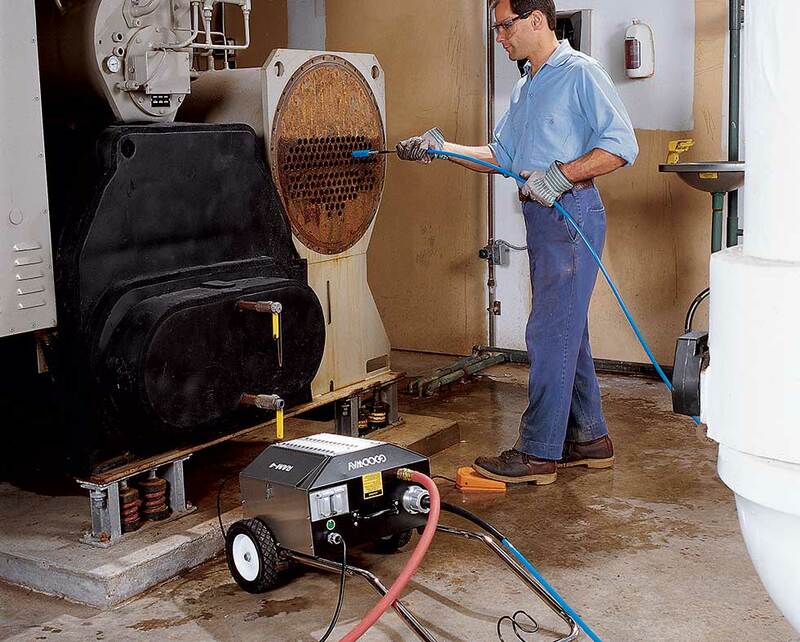 Optional two-direction foot switch enables faster, more controlled cleaning. RAM-4 Chiller Tube Cleaner, mobile dolly with tool storage box and a single direction foot switch.